Business environments that house plants have been researched in numerous scientific studies and the findings are impressive. 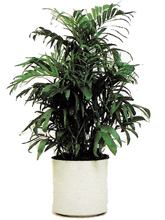 Plants increase our physical, psychological and economical well being. Adding plants to your office space is beneficial to your employee’s health and your bottom line. Plants increase psychological comfort and business performance. It makes “cents”. Cost savings are significant especially in the areas of reducing sickness and absence from work. 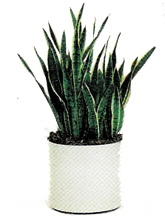 Introducing plants to the work environment has been reported to reduce absenteeism and minor illnesses. 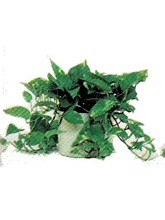 Productivity is known to improve in an environment where plants are present. Cognitive tasks, concentration and focus are all improved, therefore increasing productivity. Fewer mistakes are made and tasks are completed faster. Plants decrease the amount of excess carbon dioxide in the air which in turns increases our levels of concentration. The addition of plants just makes our surroundings more pleasant and comfortable not only for our employees but also for our guests. Reduced noise, cleaner air and a more creative working environment are benefits of working in a green space that makes more “cents”. A New Leaf has been servicing the Triad business community since 1976. Let us help you create a green space that benefits your business. Call for a consultation today. A New Leaf is committed to protecting the environment as well as our clients and employees. We have adopted an Integrated Pest Management Program which includes biological pest control. This eliminates the need for harmful pesticides. Eighteen years of research conducted by (NASA) National Aeronautics and Space Administration has concluded that live plants effectively filter contaminants from the air. 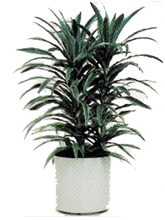 Plants remove noxious gases from indoor air and convert it into pure oxygen. This may significantly reduce “sick building syndrome”. 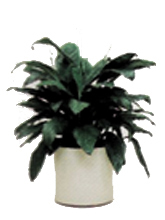 Some of the best living plant air filters are: Bamboo Palms, Snake Plants (Sanseveria), Pothos, Warneckei and the Peace Lilly (Spathiphyllum).